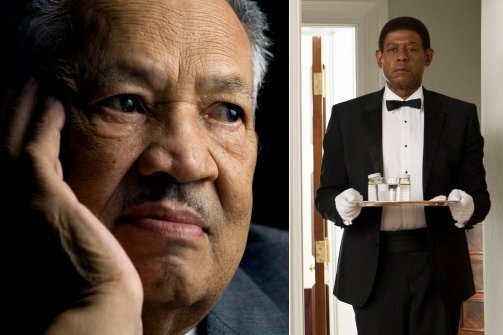 The Butler, which is based on the story of long-time White House butler Eugene Allen, hit theaters on Friday. It’s not surprising that some broad creative license was taken with Eugene Allen’s life. However, some of the most remarkable episodes are true. Eugene Allen spent 34 years in the White House watching as eight presidents filed in and out and witnessing the country change from within the walls that were changing it. The life of Eugene Allen is the basis for Lee Daniels’ The Butler, which debuted in theaters this weekend. The film was inspired by a 2008 Washington Post story titled A Butler Well Served by This Election, which first brought Eugene Allen’s story to the mainstream: a butler who served every president from Harry Truman to Ronald Reagan and weathered the worst of the country’s brutal racial history was about to see the first black president of the US sworn into office. Eugene Allen was “a black man unknown to the headlines”, Will Haygood wrote in that Post article. Now, however, Eugene Allen’s story is playing out on the big screen in an Oscar-baiting film with a sprawling cast including Robin Williams, Terrence Howard, Alan Rickman, Jane Fonda, Liev Schrieber, Oprah Winfrey, and, in the role inspired by Allen, Forest Whitaker. In The Butler, Forest Whitaker’s Cecil Gaines is a slightly fictionalized version of Eugene Allen, one whose story – though very close to Allen’s own – plays better as the stylistic, sweeping melodrama the film sets out to be.